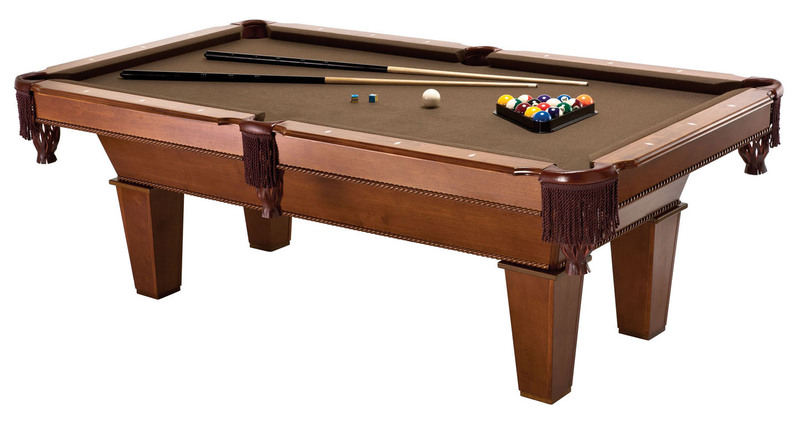 Your game room will become the hottest place to be with the Fat Cat Frisco II Billiard Table! 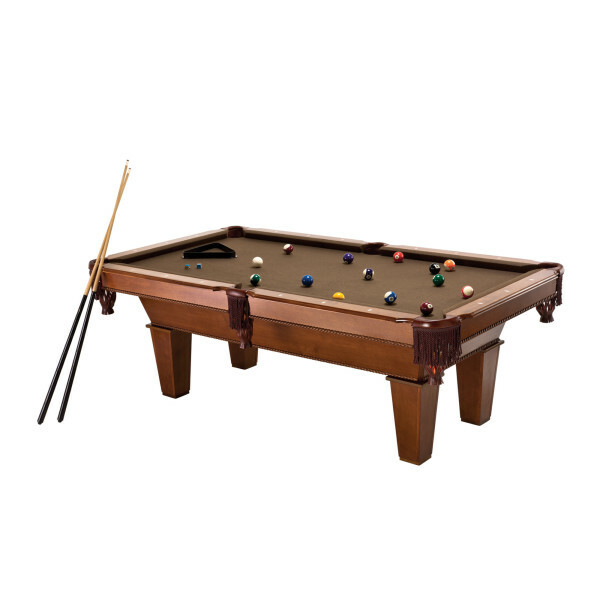 This 7.5’ table is sure to brings hours of fun to your whole family, and complete the look of your game room with its classic style. The Frisco II look begins with the finish. 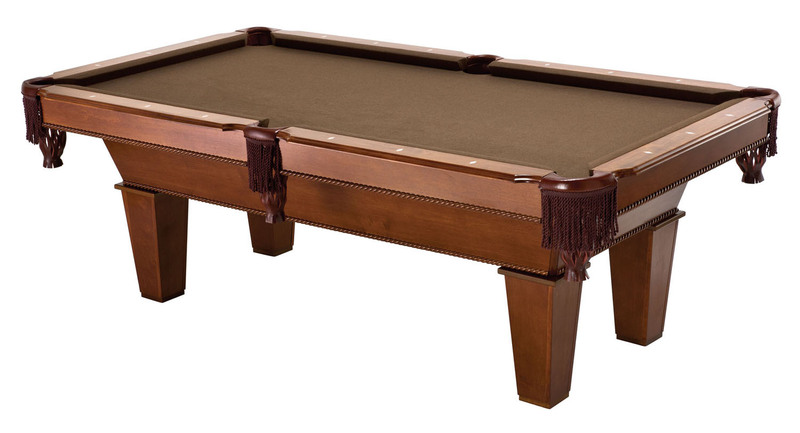 Maple veneers with a mahogany finish give this pool table its signature look of a bygone era. This finish is designed to invoke feelings of nostalgia. 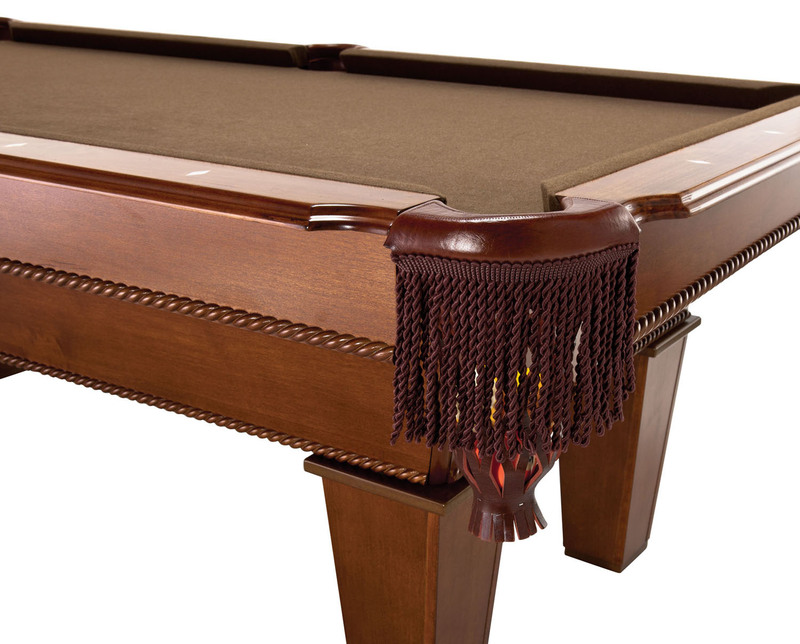 French style drop pockets invoke a sense of tradition, the way a billiard table should look. With tapered legs that complement the traditional style, this table also fits nicely in more contemporary rooms. The legs also feature levelers, to ensure an even playing field. Completing the look, playing surface is covered in a rich brown cloth cover, that can stand up to tough play and looks good doing it. The Frisco II features all the marks of quality found in a billiard table, but won’t break the bank. This is made evident with the Accuslate playing surface, just beneath the cloth cover. Accuslate gives you a smooth playing surface for years, as it is resistant to warping, and costs just a fraction of what it would take to install a slate table top. Surrounding the playing surface are 1.5” thick solid maple rails, featuring the classic white diamond inlays, to assist in lining up your shots. These rails feature tough, yet elastic K66 rubber bumpers, which will retain their bounce for years to come. 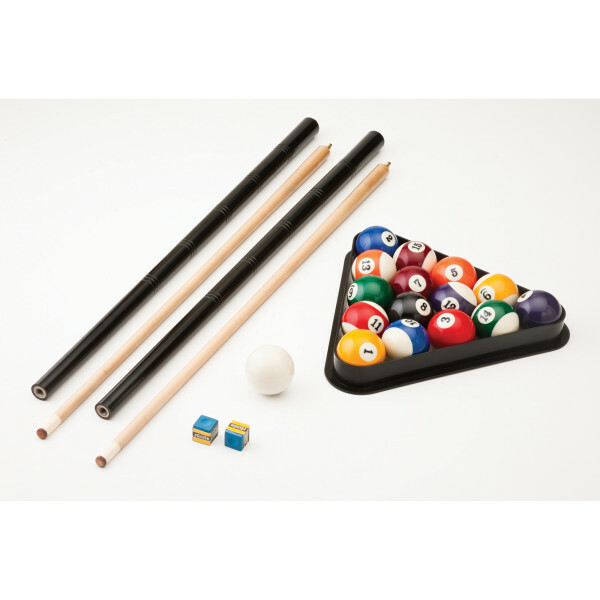 Each Frisco II comes ready to play once assembly is complete, as all the accessories are included such as: a complete set of billiard balls, two 57” cue sticks, one resin triangle, two pieces of cue chalk and a rail brush. Prepare for fun that lasts for hours with the Fat Cat Frisco II!